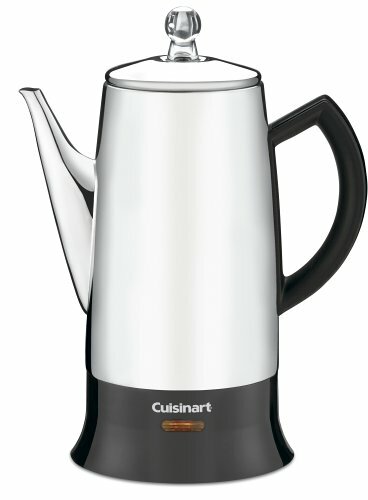 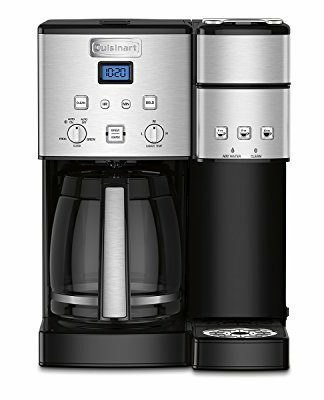 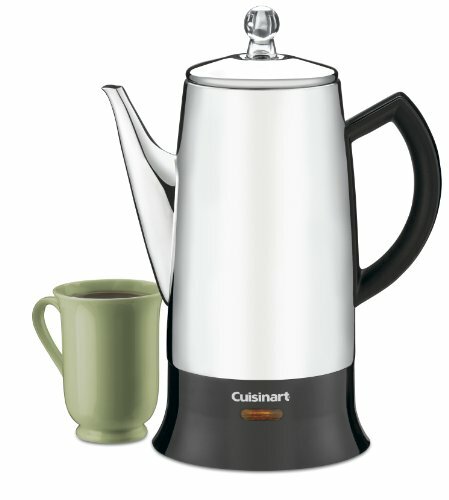 Cuisinart brings its coffee-making expertise to the 12-Cup model of their classic stainless steel percolator. 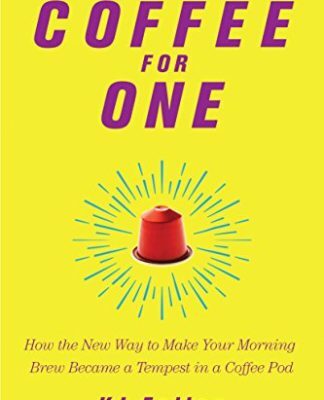 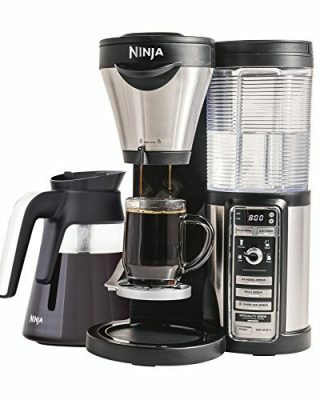 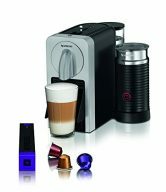 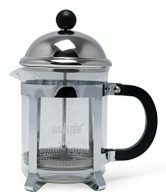 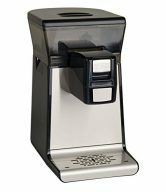 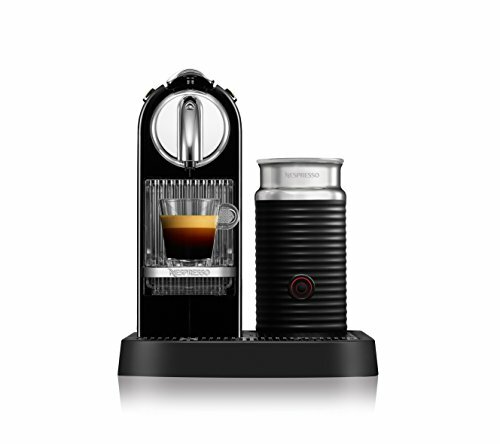 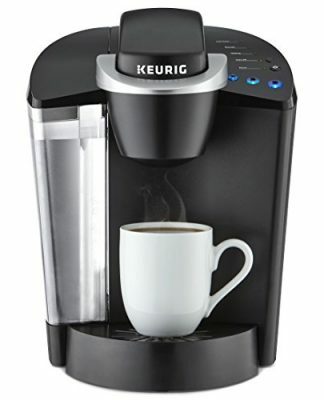 Piping hot water percolates through the grounds, and pulses up into the glass knob on top to create the familiar “perk-perk” sound that coffee lovers wait to hear. 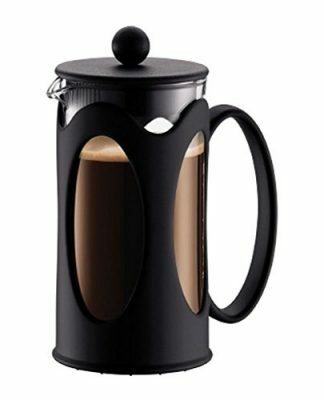 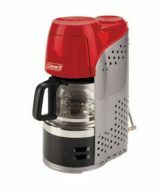 A detachable cord and stay-cool bottom lets this percolator go anywhere to serve, and it only needs to be plugged in to keep it hot.